Well, it’s been a hot and long summer for the girls, a good summer. What's next? It looks like our Bend summer nectar dearth will soon be starting up, after the rabbit brush finishes up. For bees, winter starts now... good stores, healthy winter bees being raised to take the hive through the winter cold...so, what can we, the beekeeper do in September for the girls? Two big things are happening: honey should be finishing up being capped. Once the honey supers are off, nectar is scarce and bees may actually start using their reserves already. I like to feed after the honey comes off, just to be certain they have all they need to sock away honey for themselves if there is a lack. However, I have noticed that all my hives have the 2nd hive body chock full due to the long season. We want to augment if we observe any scarcity in preparation for winter. 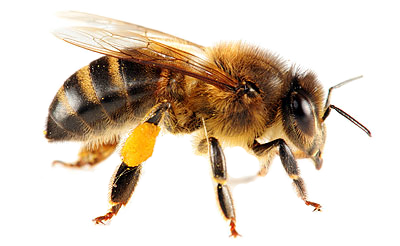 Combining bees that are queenless or small with stronger queen-right colonies is something to consider. You might think about colony consolidation in some situations (ie two hive bodies, and only 10 used frames). You can consolidate the colony, with honey on the outside to help keep the brood nest warm and near honey. Check that the hive is queen-right if it is small. In my experience, it takes about 6 frames of bees minimum to make it through a C.O. Winter. With at least that much in honey. Better to leave honey on the hives if in doubt, and take any leftover after they have come through the spring and you know they have made it through the harder times (around May in Central Oregon). Two inspections for Fall are recommended: one around Labor Day (1st Monday in Sept) and the 2nd around Columbus Day (mid-October). For September's inspection, we are working towards nest consolidation: crowding the girls, and ensuring they have honey both above the brood chamber, and to the sides. Do not disrupt or modify this arrangement other than moving the brood area downwards. Usually the bees will have done an excellent job in their preparation. As mentioned earlier, if your colony does not have enough honey stored (approx 60 pounds), you can augment the stores with feeding pollen and sugar syrup. It should be thick, with the ratio of two sugar to one water. Also, guard against robbing. Be mindful that weak colonies are easily targeted, so feeding inside the hive directly above the brood area is a good idea). Reduce entrances if needed to make hives easily defensible. About Honey: September is a good time to pull the honey supers from most hives. Honey removed in early September will have less moisture content than previous months, so you might not have to be as meticulous about making sure that all cells are capped. Store honey frames very securely so that bees cannot access them. They are quite adept and finding and quickly raiding, using the tiniest of access to frames. Queenless hives will not survive the winter. Often they possess an abundance of pollen stored in multiple frames (no brood to feed). This condition typically is followed by the development of laying workers. Signs of laying workers are multiple eggs per cell, eggs on the side of cells (opposed to one egg centered on the bottom), and drone brood development in worker cells. If queenless, (and healthy) you can combine with a queen-right hive. Use the newspaper method to combine. Keep on the lookout for American foulbrood as robbing season is imminent and AFB infected colonies make easy targets. AFB is highly infectious and early detection is important (sour smelling, stringy, brown goop when you open a suspicious cell). Dark old comb should be either replaced or moved out to the sides before winter so that the spring brood can have cleaner cells when the colony expands at winters end. Eventually, you can then pull the dark comb out. September management in a nutshell: Varroa under control & reducing hives down to winter configuration. Accessing food stores and feeding if needed. Note: You don't want to pull the supers too close to winter as the girls will need time to make adjustments of stores in their new, smaller home. September allows them a little adjustment time. Mite treatments should be finished up by now so that the winter bees being created will be strong for the long cold months ahead. If you have wanted to treat for varroa, but just haven't yet, the cooler weather (low 80's, mid 70's) and lower brood production makes using (organic) Mite Away Quick Strips (7 day treatment), and Thymol still possible. For varroa monitoring I like the sugar roll but here are a number of options. Also, check out this Varroa Mite Alert from the Honey Bee Lab. The main thing is to know your mite load, know your hive stores, and set them up for success. One other note: this time of year is critical to bee colony preparation. Although we want to manage all of these aspects of bee health, it is good to keep in mind that for the girls, this is almost final preparation for winter. Don't tear into hives aggressively, but accomplish what you need to with as little disruption to the hive as possible. Also, (geeze, always 'one more thing'!) expect that bees may get a bit defensive this time of year. They have their whole survival enveloped in their prepared hive. Expect them to defend it. Well, there’s so much more to talk about, but that will have to wait till next month! Hope this is helpful to all of our beekeepers out there in Central Oregon. Let's get our girls in great shape NOW for enduring the coming winter...so we can return the favor of the joy they give us during the warm summer days of their presence. Many thanks to Kim Rivera for these September notes! !